Once again, the depths of the criminal mind and the darkest side of a glittering city fuel #1 New York Times bestselling author Jonathan Kellerman’s brilliant storytelling. And no one conducts a more harrowing and suspenseful manhunt than the modern Sherlock Holmes of the psyche, Dr. Alex Delaware. A tipsy young woman seeking aid on a desolate highway disappears into the inky black night. A retired schoolteacher is stabbed to death in broad daylight. Two women are butchered after closing time in a small-town beauty parlor. These and other bizarre acts of cruelty and psychopathology are linked only by the killer’s use of luxury vehicles and a baffling lack of motive. The ultimate whodunits, these crimes demand the attention of LAPD detective Milo Sturgis and his collaborator on the crime beat, psychologist Alex Delaware. What begins with a solitary bloodstain in a stolen sedan quickly spirals outward in odd and unexpected directions, leading Delaware and Sturgis from the well-heeled center of L.A. society to its desperate edges; across the paths of commodities brokers and transvestite hookers; and as far away as New York City, where the search thaws out a long-cold case and exposes a grotesque homicidal crusade. The killer proves to be a fleeting shape-shifter, defying identification, leaving behind dazed witnesses and death–and compelling Alex and Milo to confront the true face of murderous madness. Noticed I'm the first to leave a review here - surprised me! 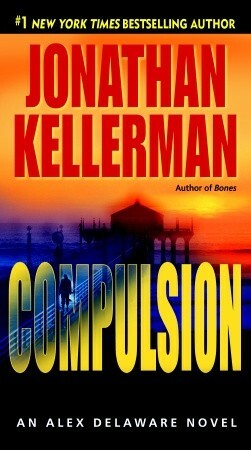 Kellerman's stories are always fascinating- I've never been disappointed in one. I've been listening to them in reverse order because I missed a few releases due to life problems. Each of them totally stands in its own! The characters are interesting; their relationships are true to life; the plots are riveting. The narrator is superbly talented with a seemingly unending and varied repertoire! You can never go wrong with an Alex Delaware novel by Jonathan Kellerman!